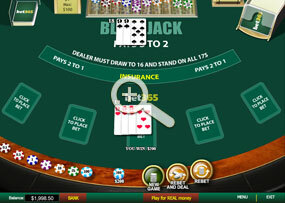 Blackjack Surrender uses 6 decks with 52 cards in each deck. This modern version of Blackjack Surrender uses the Vegas Strip Rules, and unlike the basic version, players have the option to surrender in this game. The aim of this game is for the player to get as close as possible to 21 without exceeding 21. Should a player exceed 21 it is then called a ‘Bust’The Ace represents a 1 or 11, number cards from 2 – 9 are taken at their face value and 10’s, Jacks, Queens and Kings are worth 10. 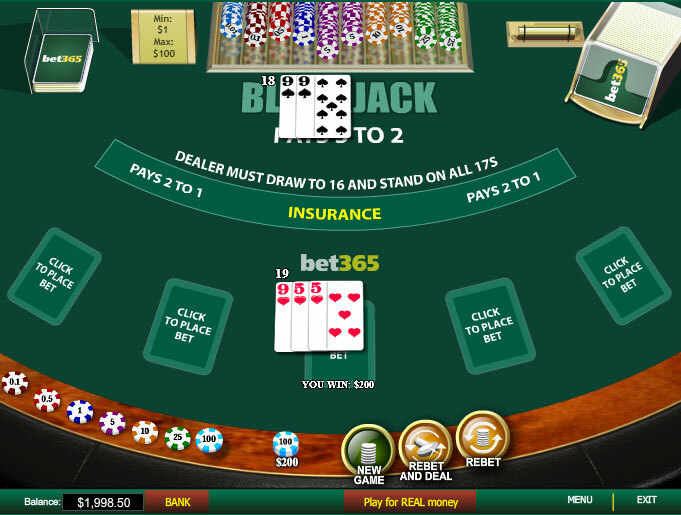 After each round, the deck will be shuffled and a player is only allowed to ‘Split’ once. Players can then double after the split. 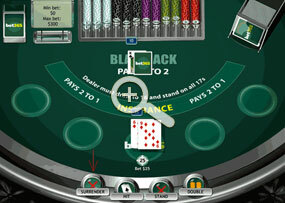 Players can achieve Blackjack with just two cards, such as an Ace and a 10, plus they can Surrender at any time during the game.